The Somalia Eritrea Monitoring Group report, presented by the Chair of the Committee on Thursday February 18th pursuant to resolution 751 (1992) and 1907 (2009), is replete with the flaws and unsubstantiated allegations that have often characterized the behavior of the group in the past years. 1. The report states that “the Monitoring Group did not find any evidence that the Government of Eritrea had been supporting Al-Shabaab“. But in the same breadth, it reported that “Eritrea was supporting armed groups in Ethiopia in violation of paragraph 16 of resolution 1907(2009)“. 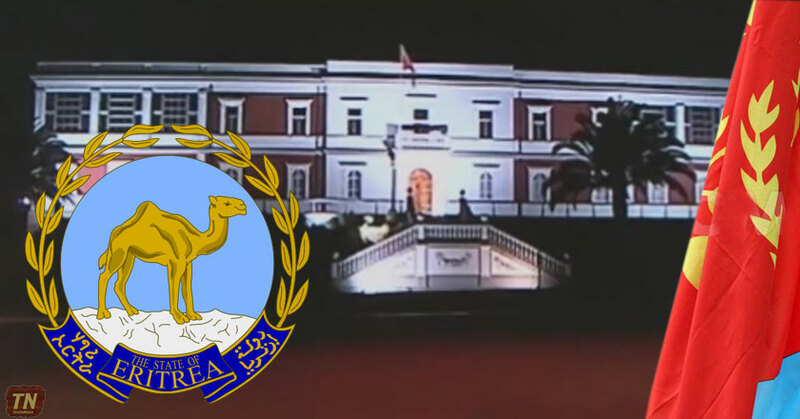 Eritrea welcomes the Monitoring Group’s acknowledgement of the fact, even if belated, that the principal, purported reason for imposing the unwarranted sanctions against Eritrea is untenable. This fact in itself must be sufficient enough to rescind the unjust sanctions imposed on Eritrea for the past seven years. At the same time, the Monitoring Group’s tendency to resort to creative interpretation and extra-procedurally stretch the scope of the sanctions resolution must be dismissed as illicit, inappropriate and counter-productive under the terms of its mandate. The fact is Ethiopia continues to occupy sovereign Eritrean territories in flagrant violation of international law, the UN Charter, and the “final and binding” arbitral decision of the Eritrea – Ethiopia Boundary Commission (EEBC). It must also be underlined that Ethiopia’s continued breach of international law and the provisions of the UNSC – guaranteed Algiers Agreement elicit appropriate punitive measures by the UN Security Council. Furthermore, Ethiopia’s unabashed public pronouncement of its pursuit of “regime change” in Eritrea and support to subversive armed groups constitute violations of international law and acts of regional subversion that cannot be downplayed or glossed over. In the event, the SEMG’s focus on alleged acts of Eritrea against Ethiopia is morally unconscionable and legally incompatible with its mandate. 2. The report goes on to say, “The Group had received unconfirmed reports of the presence of Eritrean soldiers in Yemen fighting alongside the Arab coalition. If confirmed, this involvement could potentially constitute a violation of paragraph 6 of the same resolution“. The Allegation is patently false. Once again, it is crystal clear that the SEMG is persisting in its longstanding tendency to dwell on malicious hearsay so as to maintain the harassment of Eritrea. Who are the sources and what are the underlying motives of this disinformation> Is this another version of the SEMG’s false allegations in 2009 that claimed Eritrea had sent 2,000 soldiers to Somalia? As it must be recalled, this false accusation was floated in the SEMG’s reports but never retracted thereafter. Thus, is this another replay of the 2009 episode of floating wild accusations to serve a specific purpose? In any case, if the reports are unconfirmed, what is the hurry? Why does the SEMG insert in its report unconfirmed innuendos to insinuate “potential” violation? Eritrea has emphasized all along that the unjust sanctions resolutions were politically motivated instruments conceived from the outset to harass Eritrea and to deflect attention from Ethiopia’s flagrant violation of international law and occupation of sovereign Eritrean territory including Badme. The SEMG’s recent report illustrates, rather vividly, the dynamics of this misguided scheme.